Microsoft Securoty Essentials ransomware uses sophisticated techniques to infiltrate computers and hide from its victims. Use Reimage to determine whether your system is infected and prevent the loss of your files. Microsoft Securoty Essentials is a rogue anti-spyware that spreads via MadarchodLocker.exe file and performs fake system's scans by default. It is set to display “WARNING: Your system is too heavily infected to start Windows Defender. Please download Antivirus from XXXX” regularly to trick people into visiting phishing sites or other dangerous domains. 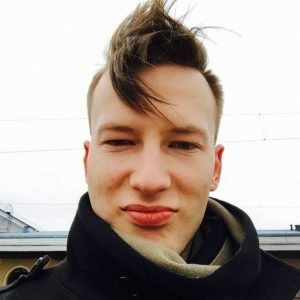 Although the distribution of rogue AV is not that popular as it was several years ago, it seems that hackers did not forget about this tricky method. Microsoft Securoty Essentials rogue has been detected in the first half of April 2018 via freeware, fake software updates, spam, phishing sites, and other illegal malware distribution channels. Your PC isn't being monitored because the app's service stopped. You should restart it now. WARNING: Your system is too heavily infected to start Windows Defender. Please download Antivirus from XXXX. Please, do not fall for this trick. Microsoft Securoty Essentials pop-up is fake alert generated by malware. Visting the website that it promotes as an update page might be infected with malicious virus-like ransomware or spyware, so visiting it can expose your PC to infection or data to information leakage. If suspicious system's scanners started launching automatically, pay attention to the name of the respective application. In this case, the name Microsoft Securoty Essentials contains a spelling mistake, which is the visible sign that the software is fake. Besides, it's important to stress the fact that the genuine Microsoft Security Essentials is a package of security tools that are oriented to Windows 7 OS. Windows 8 and 10 are protected by Windows Defender by default, meaning that additional Microsoft's security software is not required. Microsoft Securoty Essentials is a rogue that pretends to be a legitimate alert brought by Microsoft Security Essentials suite. To stop rogue scanners and protect the system from getting infected with malware, you have to remove Microsoft Securoty Essentials virus from your PC. For this purpose, use a professional anti-virus, say Reimage, Malwarebytes MalwarebytesCombo Cleaner or Plumbytes Anti-MalwareMalwarebytes Malwarebytes. If the MadarchodLocker.exe process or other malicious components blocks Microsoft Securoty Essentials removal, you may need to restart the system in Safe Mode with Networking. While in the safe environment, download or update your security tool and run a full system scan with it. 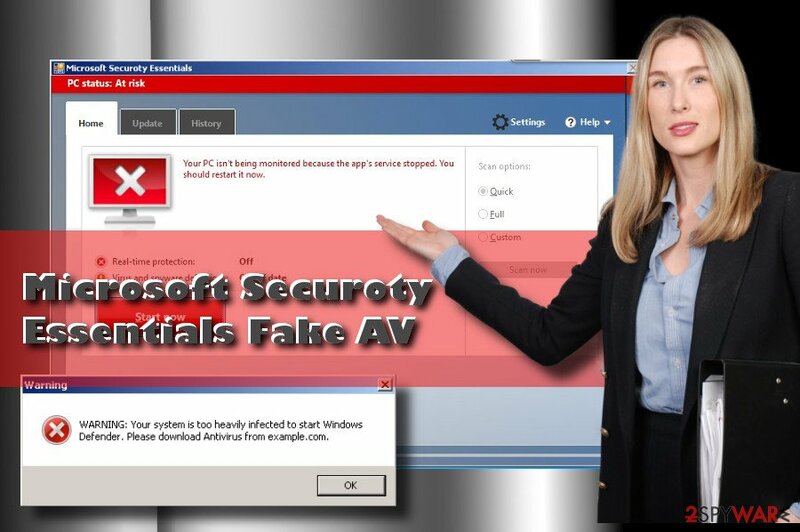 A fake copy of Security Essentials, named “Microsoft Securoty Essentials” aims at inexperienced PC users and seeks to make them visit suspicious websites that can be infected with malware. Therefore, do not postpone Microsoft Securoty Essentials removal. Be careful with each free download on the Internet. There are many instances when potentially unwanted programs (PUPs) were being distributed on Google Play Store and other legitimate sources by tricking Google's security algorithms. Nonetheless, the most frequent malware dissemination strategy remains “bundling,” meaning that potentially dangerous apps can infiltrate PCs as additional components of other free apps. Also, people may be tricked into downloading rogue anti-spyware and other malware by clicking on fake software update pop-ups online. Microsoft Securoty Essentials removal will put fake system's scans to the end. According to malware experts, this particular malware can inject malicious files in %AppData%, %Local%, %Windows%, %Temp%, and %Roaming% locales. Besides, it may run multiple MadarchodLocker.exe processes that may not be terminated manually. Therefore, we would strongly recommend you to remove Microsoft Securoty Essentials fake antivirus with the help of reputable anti-malware. In case you cannot launch it, follow the instructions on how to restart the system in Safe Mode with Networking. Access your device’s Settings app or Control Panel. Navigate to Apps section. Versions prior to Windows 10 store installed apps in Control Panel -> Programs -> Programs and Features. In the list of appeared programs, find this fake antivirus and other questionable apps and click it (if you do not see them, click See all apps or App info option). 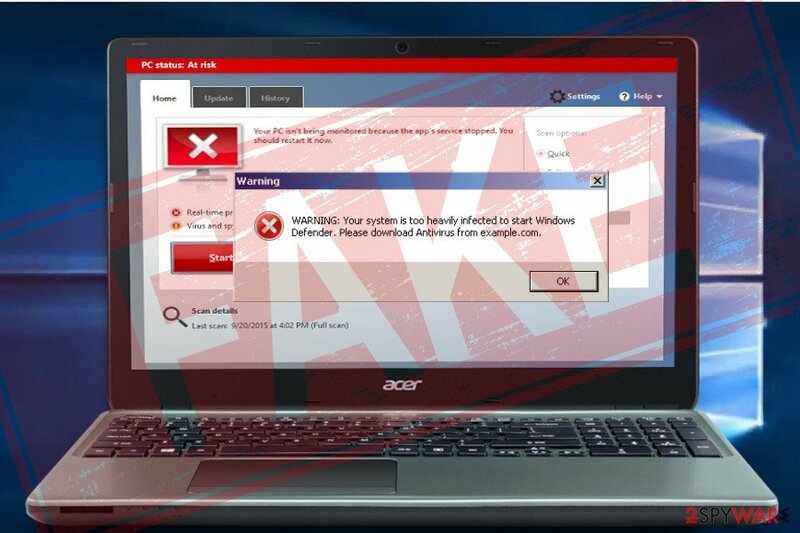 If the rogue AV software blocks the anti-virus that is installed on your PC or prevents you from downloading one, you should boot the system into Safe Mode with Networking. Log in to your infected account and start the browser. Download Reimage or other legitimate anti-spyware program. Update it before a full system scan and remove malicious files that belong to your ransomware and complete Microsoft Securoty Essentials removal. When a new window shows up, click Next and select your restore point that is prior the infiltration of Microsoft Securoty Essentials. After doing that, click Next. Once you restore your system to a previous date, download and scan your computer with Reimage and make sure that Microsoft Securoty Essentials removal is performed successfully. ^ Rogue security software. Microsoft. Windows Defender Security Intelligence. ^ Chris Hoffman. Why You Don’t Need to Run Manual Antivirus Scans (And When You Do). How-to Geek. Online tech publisher. ^ Semvirus. Semvirus. Virus and Spyware news. This entry was posted on 2018-04-17 at 03:36 and is filed under Malware, Viruses. You can quickly scan the QR code with your mobile device and have Microsoft Securoty Essentials manual removal instructions right in your pocket. How did you remove Microsoft Securoty Essentials?